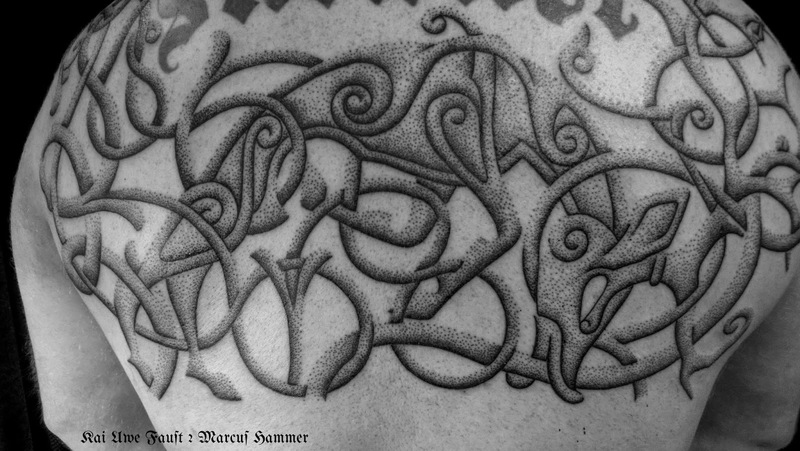 The customer comes to Denmark, let´s say from Scotland and wants to have a half back piece. We design it for him and put it on in the shortest time possible, if necessary even with two artists working at the same time. Notice the open strings in the bottom, so the piece can be turned in a full back piece later.